Karl Marx remains the most influential and controversial political thinker in history. He died quietly in 1883 and a mere eleven mourners attended his funeral, but a year later he was being hailed as "the Prophet himself" whose name and writings would "endure through the ages." He has been viewed as a philosopher, economist, historian, sociologist, political theorist, even a literary craftsman. But who was Marx? What informed his critiques of modern society? And how are we to understand his legacy? 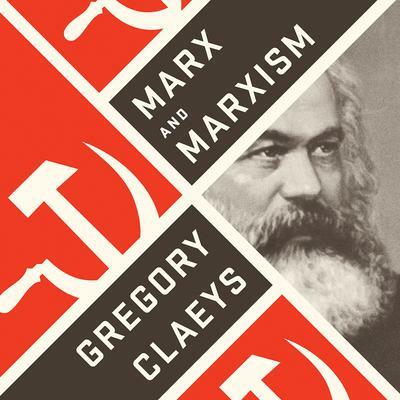 In Marx and Marxism, Gregory Claeys, a leading historian of socialism, offers a wide-ranging, accessible account of Marx's ideas and their development, from the nineteenth century through the Russian Revolution to the present. After the collapse of the Soviet Union his reputation seemed utterly eclipsed, but now a new generation is reading and discovering Marx in the wake of the recurrent financial crises, growing social inequality, and an increasing sense of the injustice and destructiveness of capitalism. Both his critique of capitalism and his vision of the future speak across the centuries to our times, even if the questions he poses are more difficult to answer than ever.